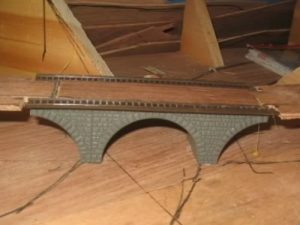 This was originally a two arched stone bridge, bought second hand. It was taken apart and modified to split the second arch and reposition it either side of a central arch. 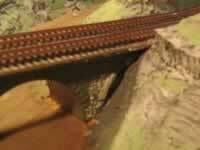 Plywood was used to fill in the track deck.